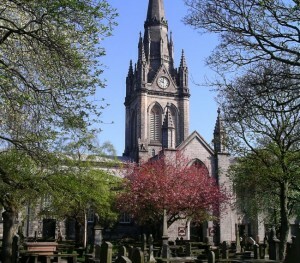 The Kirk of St Nicholas has been at the heart of Aberdeen providing spiritual worship and refuge since before there were any written records. 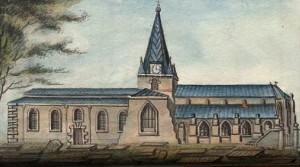 At the time of the founding of the Royal Burgh, the Kirk was already there, although much smaller than now. 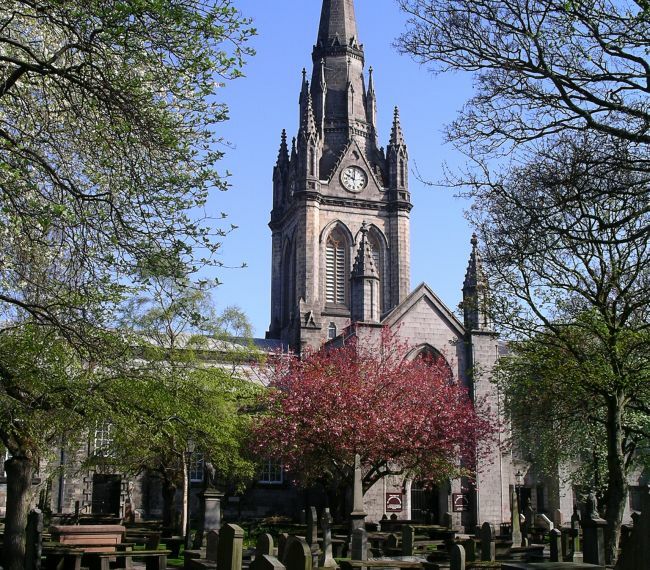 In those days there was no real distinction between ‘civic’ and ‘religious’ life, and so the Kirk was an important part of the religious, political and commercial life of the city. Inevitably it has changed, enlarged and adapted as the city around it developed. The present day building is very different from what has been in the past, but, because of its own history, it is a building with its churchyard which chronicles many aspects of the history of this rich city and its inhabitants. This section of the website will give an outline of this heritage. The first known written record is a Papal Bull dated 1157 in which Pope Adrian IV mentions the Kirk. The archaeological evidence indicates the existence of an earlier, much smaller building. It may have been ruined in a Norse raid on Aberdeen in 1153. All that is presently above ground appears to be later in date than that date and indicates that by 1200 there was a large cruciform church, though still appreciable smaller than the present building. By the start of the 15th century the building was far too small for the demands placed upon it, so ideas were developed for an expansion. Physical progress seems to have started around 1440-50 with the erection of what is now St Mary’s Chapel as an undercroft to allow expansion of the main church above the valley of the Putachie Burn. 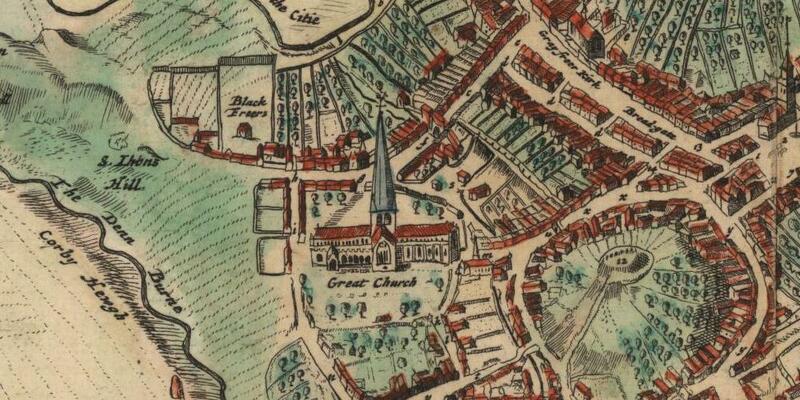 The building project took decades to complete, with a service of dedication taking place in 1498. However, it is also clear that the building was not complete at this stage and it may have been a further two decades before this was achieved. 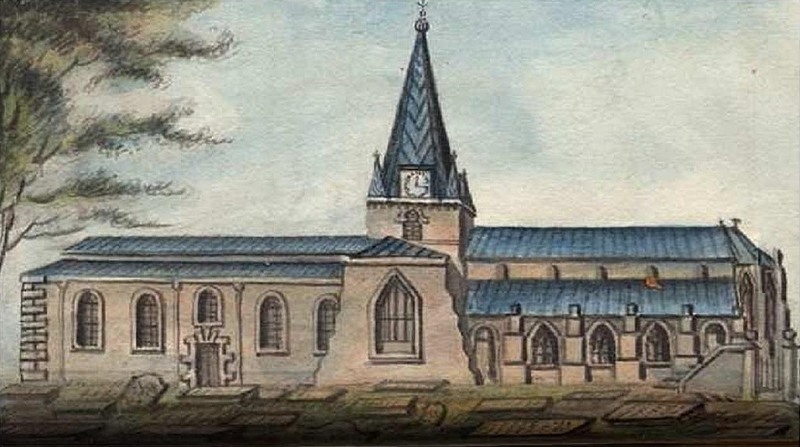 The result was one of the largest Parish churches in Scotland, described by the provost and council in 1514 as ‘thar moder kirk’, extending to the same point to the east but about 15 feet longer to the west than the present building. The Reformation in 1560, brought further change because taking part in services became more important than merely being present. To assist audibility, participation and to meet the requirements of a growing population, a wall was erected in 1596 to create two separate sanctuaries within the building. Whilst further alterations have taken place, this division has remained into the 21st century. By 1732 political changes and related changes of ecclesiastical allegiance had the result that the West Kirk fell into disrepair. It was after the architect James Gibbs had been given the freedom of his native city that he designed a new churchas a ‘thank you’. It was not, however, until after the disruptions of the ‘Forty-five’ that the City’s funds for church purposes were sufficient to build it. This was opened in 1755 a year after Gibbs had died and is the present West Kirk. 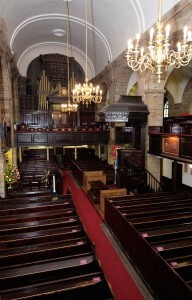 There have been some internal alterations, but it retains many of its original features, is the present-day sanctuary for the Kirk of St Nicholas Uniting and is also the Civic Church. The East Kirk had large pillars supporting the high central body and the two side aisles. In the early 1830s it was decided that the East Kirk should be replaced with a more modern elegant and open building with better sight-lines. Demolition was followed by building the present exterior which was opened in 1837. However in 1874 there was a major fire which destroyed the wooden spire (build in the early 1500s) and gutted the East Kirk. The latter was repaired and the current spire was erected towards the end of the decade. The location of the building is unusual in that it was outside the city ports to the west and north of the built up area. What is not so obvious today is that it is located on a hill: to the west there is the Denburn Valley, to the north a gentle slope to the Loch, to the east the valley of the Putachie Burn and to the south a slope down to the Green and the harbour. Thus it was a prominent position. 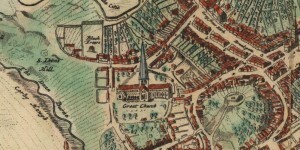 Even in the attached picture-map by Pastor Gordon in 1661 the building is clearly very large compared to those around it and even at that date it was still is on the western edge of the built up area. It is difficult to put a long history such as that of the church into context. The following link will take you to a short Time Chart. There is also a more detailed timeline for St Nicholas Kirk. 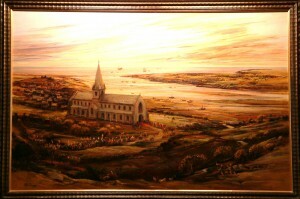 Both relate the history of the church and building to other national and world events through time. Interested in becoming one of our sponsors? We would be delighted to hear from you.